“Will you be using the new bridge?” asked a neighbour when I told her I was going to Macao. 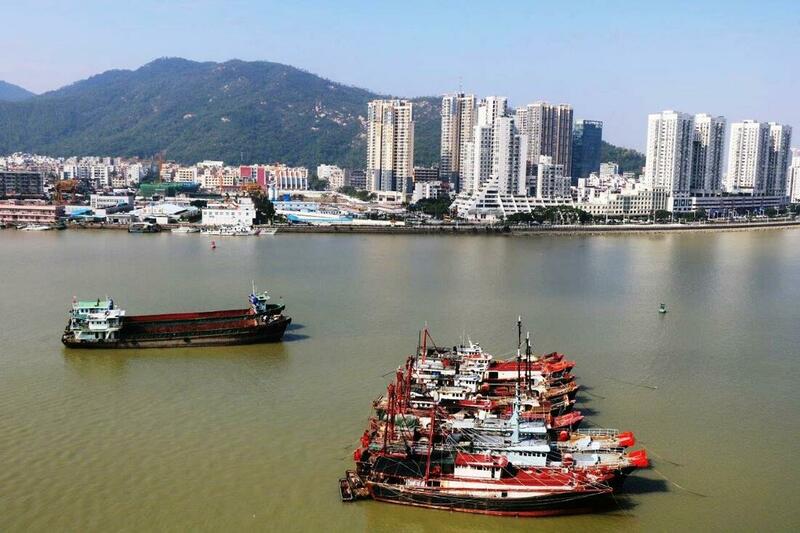 In November 2018 the Chinese Government opened a bridge across the Pearl River Delta linking Hong Kong to Macao. It's the world's longest sea bridge although over seven of its thirty-six mile highway travels under the sea. However, for those travelling to Macao via Hong Kong Airport but not planning to stay in Hong Kong, it’s easier to use the tried and trusted fast ferry. At Hong Kong Airport I avoided passport control and the luggage carousel and went straight to the ferry check-in. My luggage was collected for me and loaded onto the ferry and I finally meet up with it again in Macao’s outer harbour ferry terminal, along with Jenny Kou from the Tourist Board who was to be my guide for the visit. 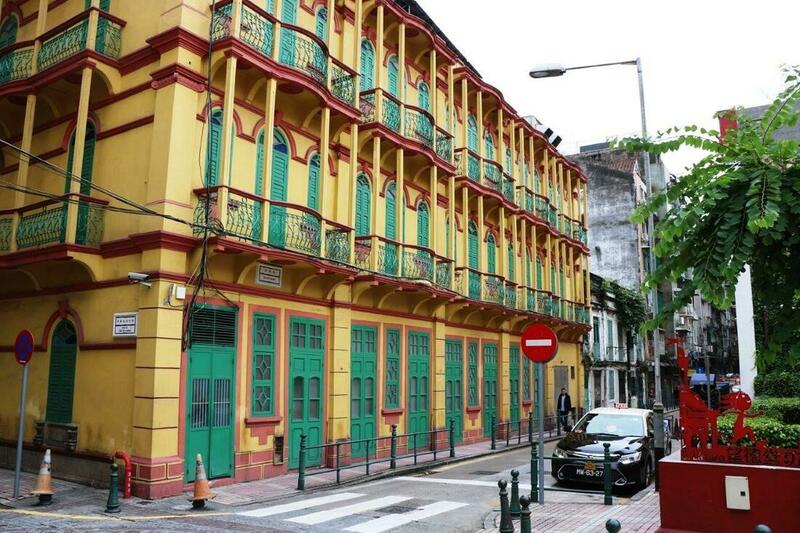 Originally leased by Portugal from China in 1557, Macao was handed back in 1999 and is now a Special Administrative Region, able to determine many of its own affairs. 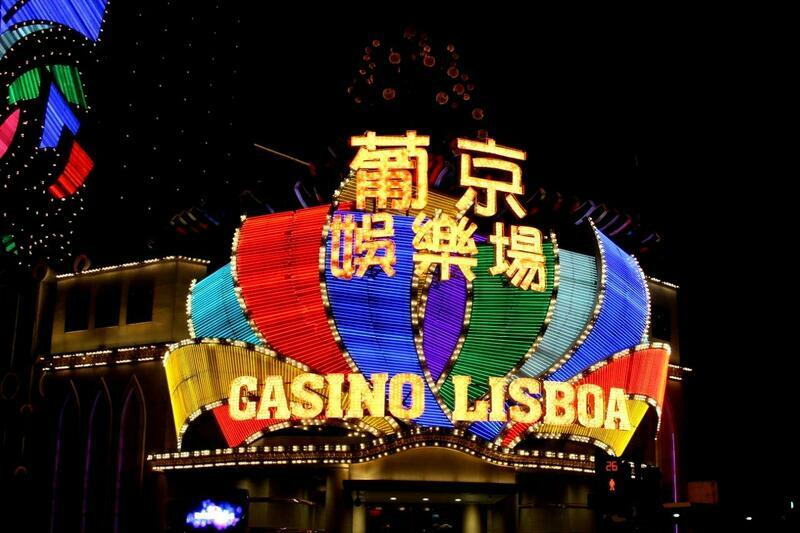 The major industries are gambling and tourism and it’s often referred to as the Las Vegas of the East. Indeed, its gambling revenues are higher than Las Vegas. However, much of its Portuguese heritage remains, in architecture, culture and cuisine. 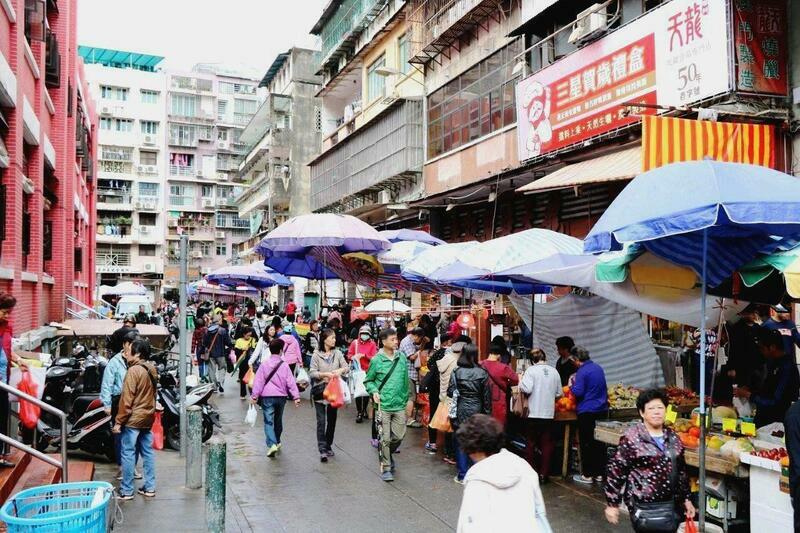 Based on GDP per head of population, it is also the world’s wealthiest country, although this prosperity does not appear to have trickled down to most of the population. 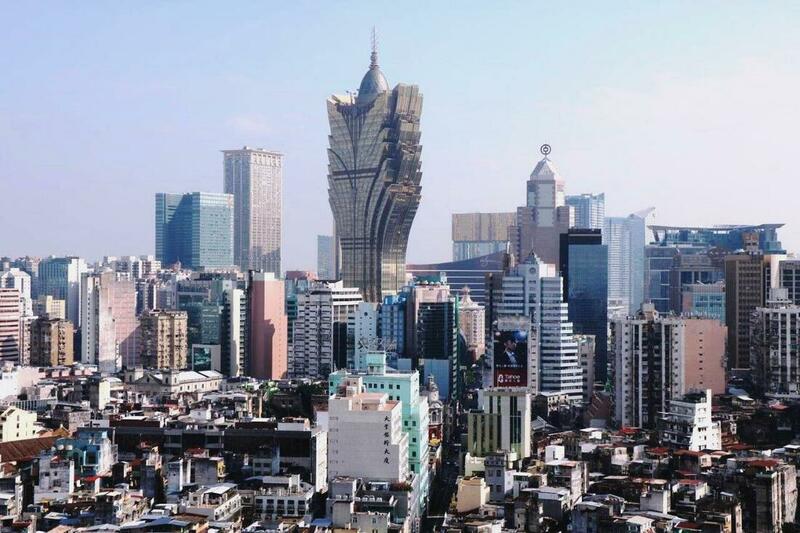 ​Macao offers visitors three highly contrasting experiences; the busy and crowded old town with its Portuguese heritage, Cotai , full of casinos and resort hotels, and Coloane, a more peaceful and relaxing area. 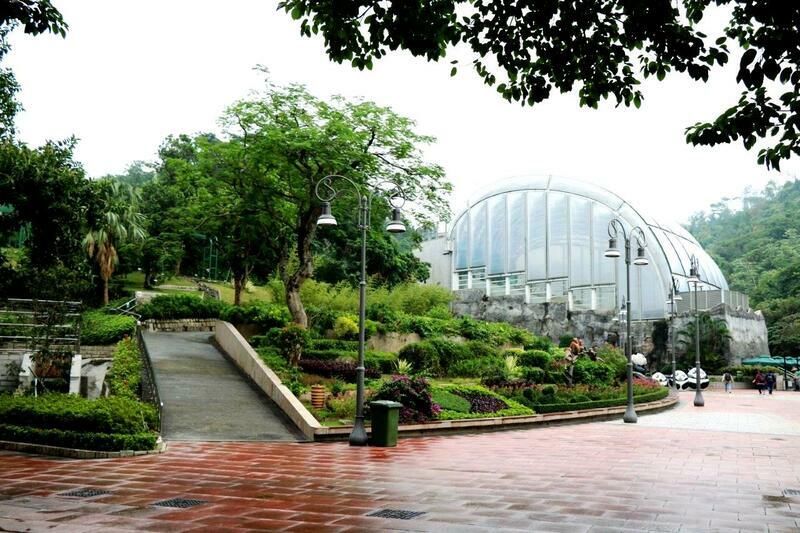 Therer are small open areas such as the Lou Lim Ieoc Garden, a haven of peace and tranquillity. 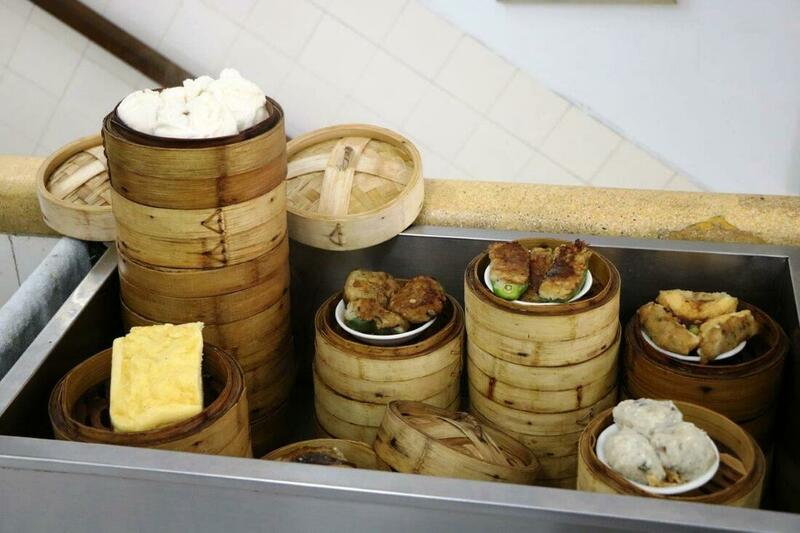 It was created by a local merchant, Lou Kau, as part of his private residence but is now owned by the Government and is popular with locals. 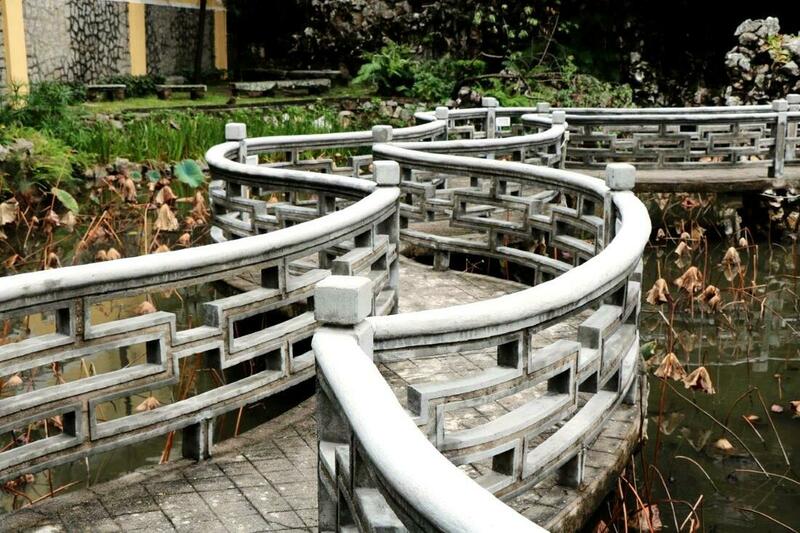 It features a wiggly bridge, so designed because Chinese legend has it that evil spirits can move only in straight lines so cannot follow you over the bridge. 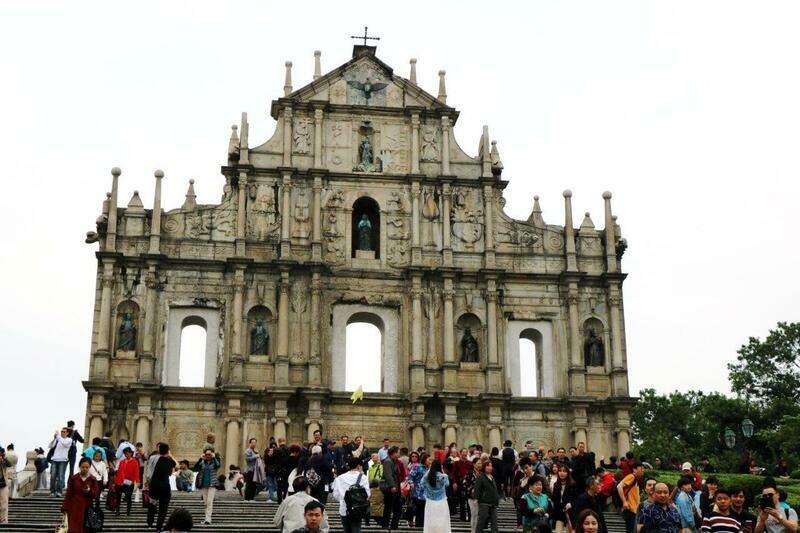 The nearby central ruins of St Paul’s church is one of historic Macao’s biggest attractions, although having been burned down three times, all that remains is the façade. 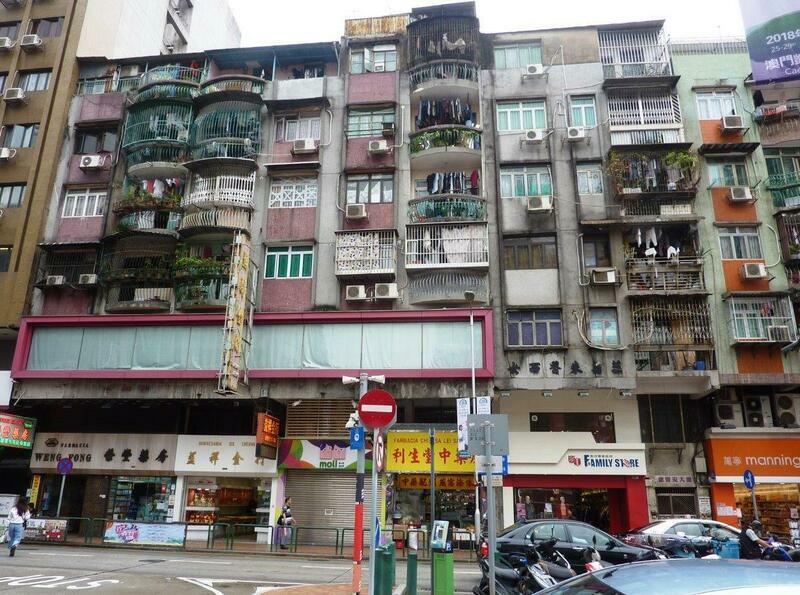 Close by, but far removed from the hustle and bustle, is the St Lazarus district. 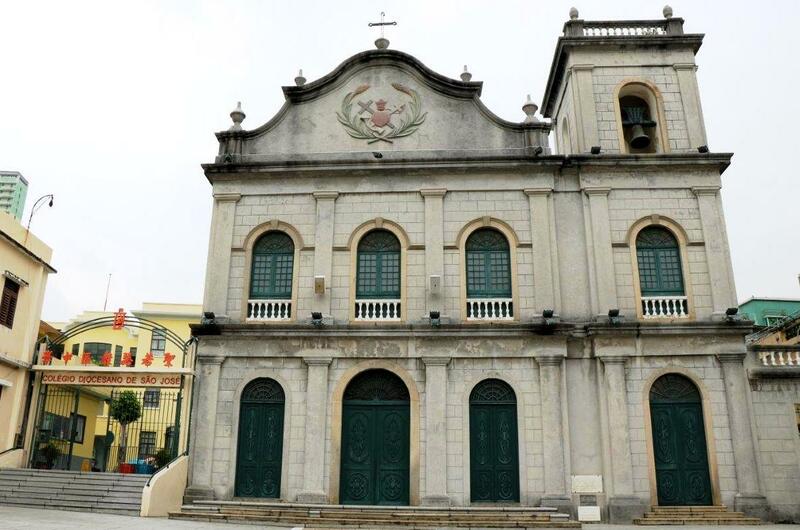 Centred on St Lazarus Church it’s Macao’s creative centre, its cobbled streets, colonial houses and tranquillity are ideal for the artists, designers and others who live and work there. 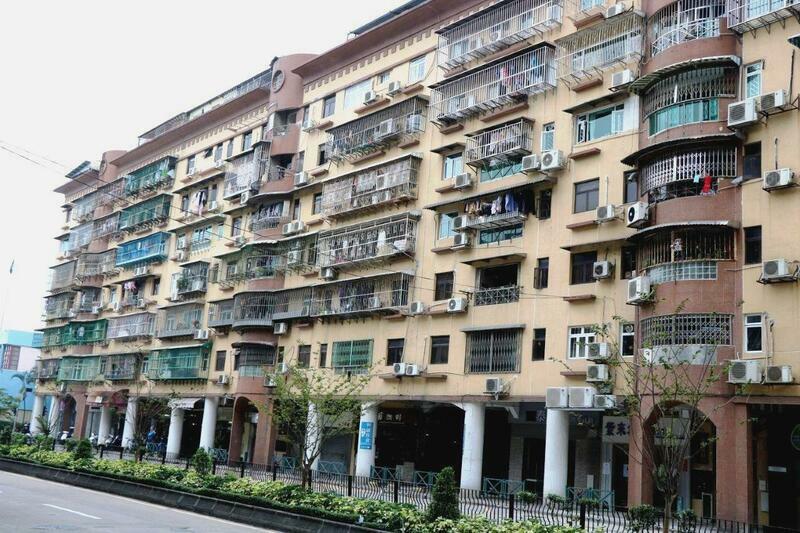 Macao covers just eleven square miles so it’s not surprising that housing consists largely of blocks of flats, many with fenced-in balconies containing washing that has been put out to dry. The fences are there to prevent laundry from being blown away or falling onto unsuspecting pedestrians. 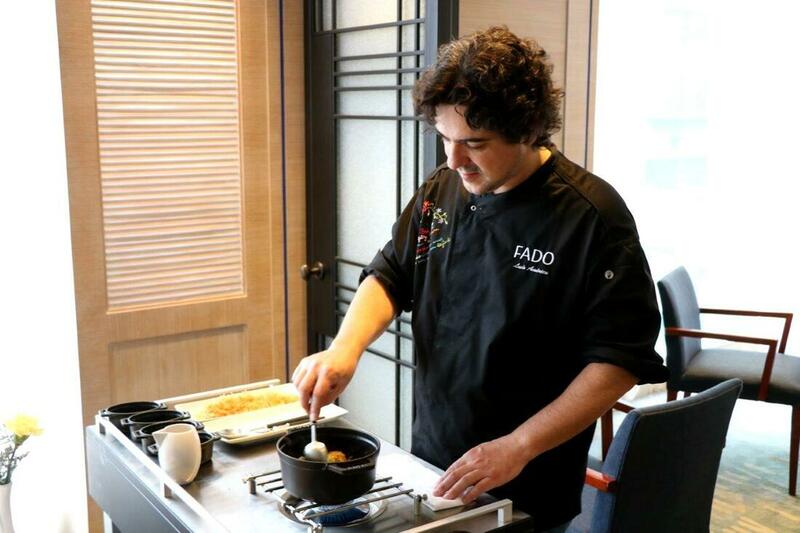 I popped into the Hotel Royal, one of Macao’s traditional business hotels, and enjoyed lunch in Fado prepared by the renowned Portuguese chef Luis Américo who was responsible for the revival of the hotel’s restaurant. On one of his bi-annual visits, we chatted about his home town, Porto, and the Douro river, home to Port Wine. 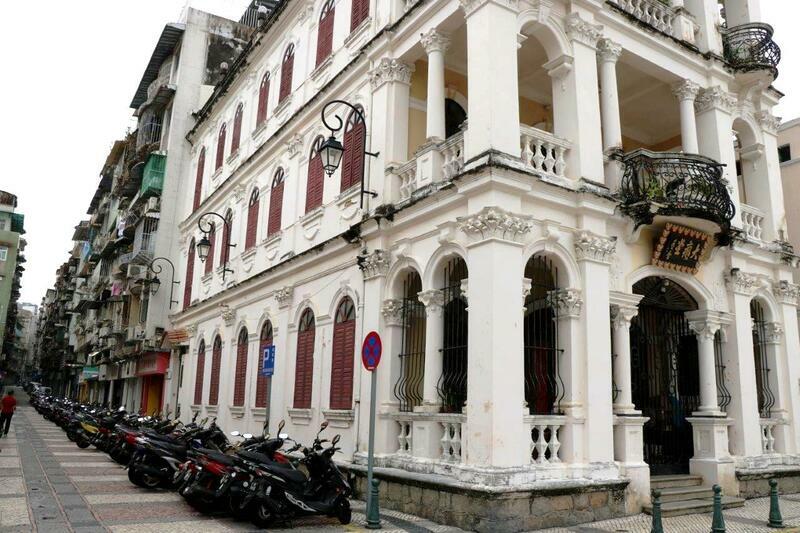 Taipa Village is linked to downtown Macao by three bridges and was originally home to fishermen. 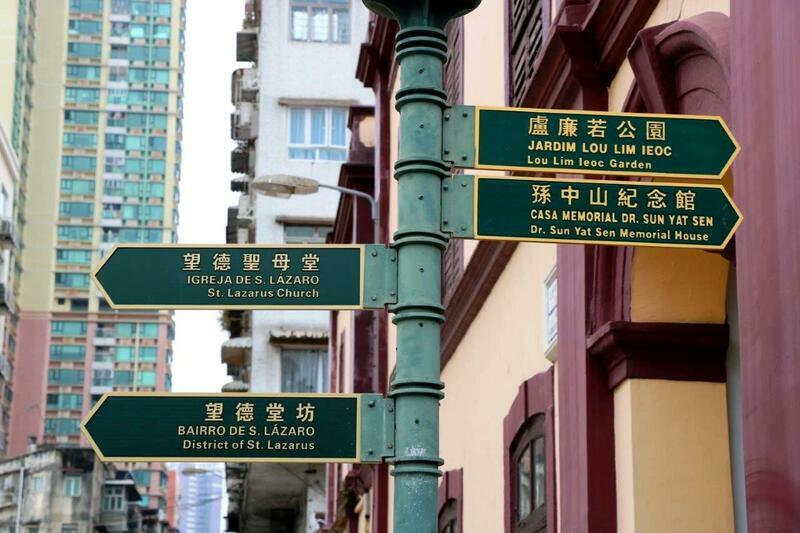 Its narrow streets provide visitors with a taste of Macao’s past and an opportunity to savour its diverse cuisine. I had dinner at Antonio’s, a cosy atmospheric Portuguese restaurant serving authentic food and offering its guests a glass of Port at the end of their meal. 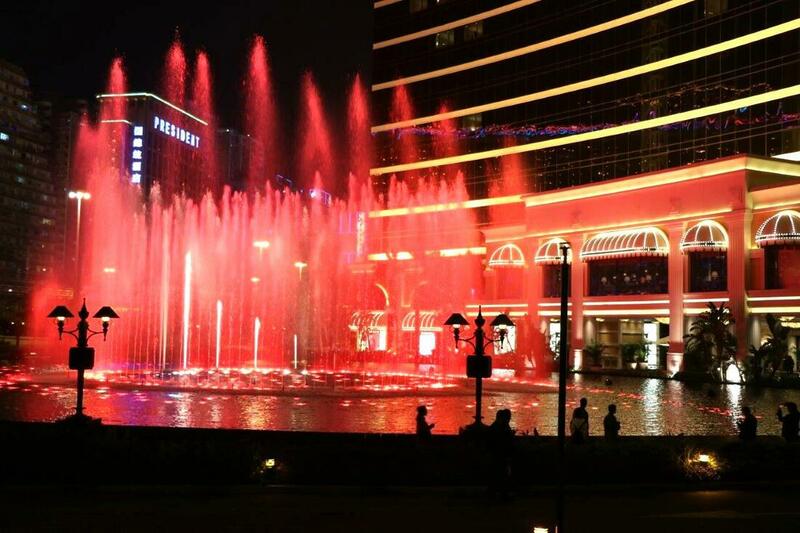 Cotai is often referred to as the Las Vegas of the East and is where visitors can find huge resort hotels, casinos and lavish entertainment. I visited the City of Dreams to see their famous show House of the Dancing Water. Produced by Franco Dragone who was responsible for some of the Cirque du Soleil productions, it’s an incredible production mixing elements of Cirque with water. The main part of the stage consists of a pool holding nearly four million gallons of water. The stage itself is divided into eleven parts that fit together but each one can be raised one meter above the surface and dropped to seven meters below. It is a spectacular and unique experience; if you were only ever to see one show then this must be it. I also took a gondola ride at the Wynn Palace Hotel and then watched the musical fountain display before heading off for a drive around the area. Like other hotels on the Cotai Strip, the Venetian is modelled on its Las Vegas counterpart. 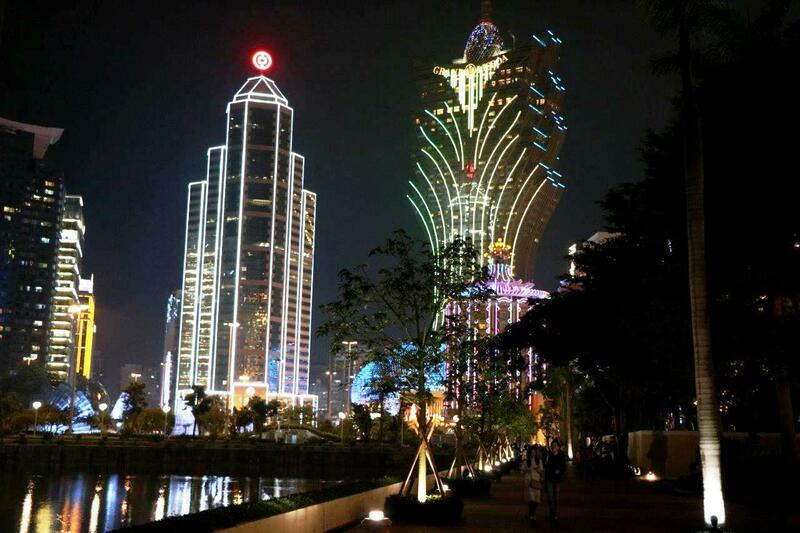 Its 39 storey structure contains three thousand suites and the world’s largest casino with eight hundred gambling tables. 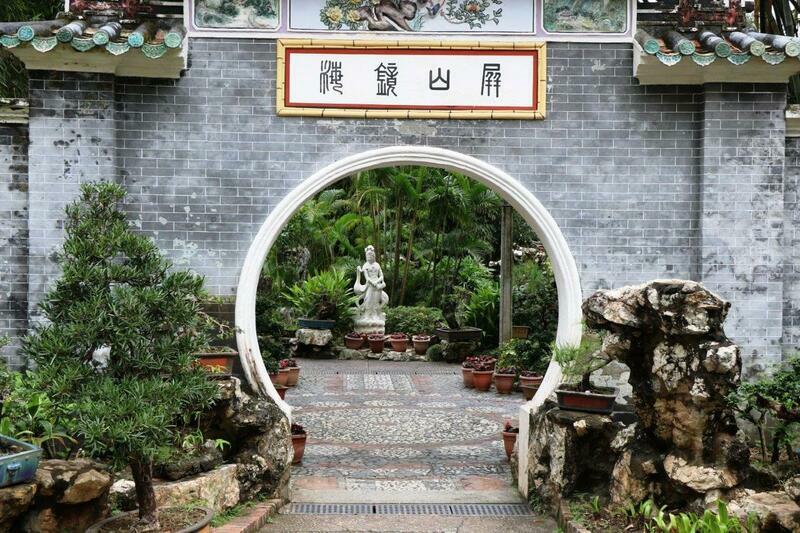 Coloane is as close as Macao gets to sleepy countryside. Seac Pai Van Park is an open area popular with locals looking to get away from busy city life. 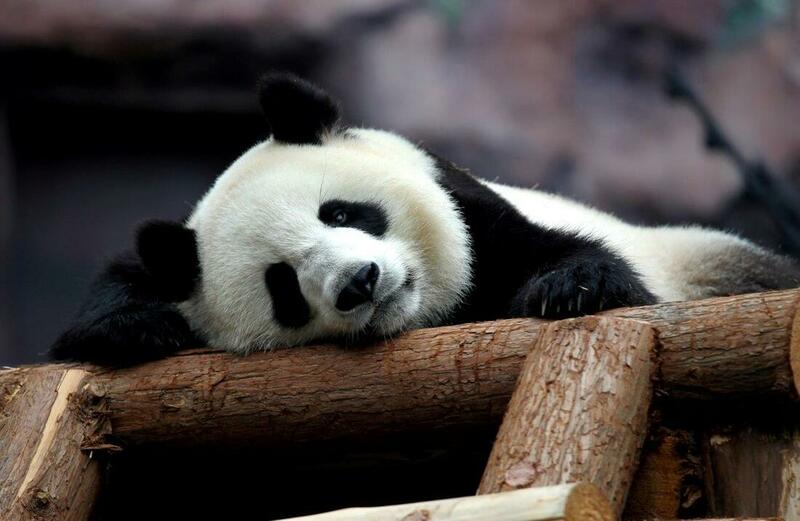 The park is home to the Giant Panda Pavilion where its famous inhabitants are kept in air-conditioned comfort for most of the year. 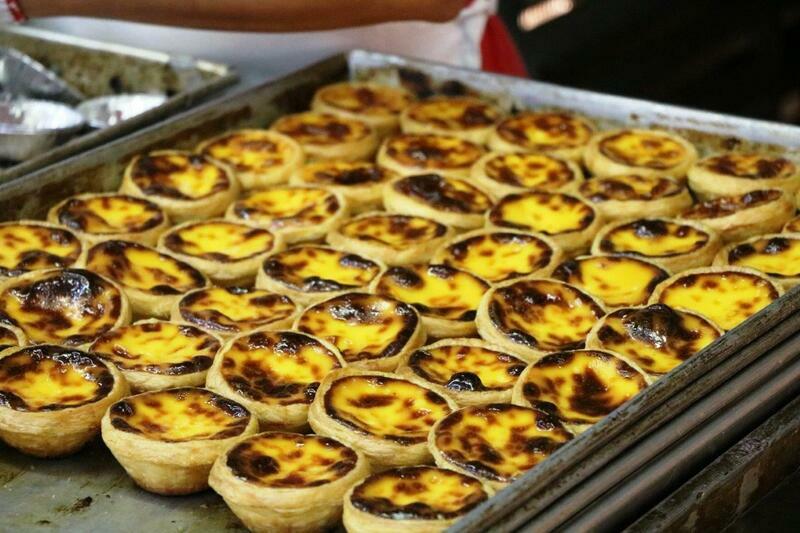 Nearby is another famous Macao landmark, Lord Stow’s Bakery. Those familiar with Portuguese cuisine will know that its custard tart ‘pastel de nata’ is a national dish, but it is claimed that the best ones come from the bakery in Coloane. I wouldn’t dispute that.